Holde Fee were a German jazz/rock band that formed in 1971 and went on to some fame, even touring at one point with Aerosmith. They released their one and only album, Malaga, as a private pressing in 1975, but Sireena records have now re-issued the original album on CD with two added bonus tracks from a recently found demo single. Despite being from the right country at the right time, it would be a mistake to label Holde Fee's music as Krautrock. This is jazz influenced rock, with a funky groove to it, and doesn't follow the more experimental directions that many of the German rock bands of the time were following. Still, Malaga is quite a tasty album, with some top notch playing from all the musicians involved, especially the band's keyboardist, who does some dazzling stuff on organ and electric piano. Overall, the album has an upbeat, breezy, mellow, feel good vibe to it, with some classic 70's style vocal harmonies (sung in English), and plenty of superb jamming between the vocal bits. Songs like Love Not Yet and Sweet January just groove along with an effortless feel to them, but the standout for me was the 17-minute Malaga Suite. The four parts of this suite cover the most stylistic ground on the album, from the easy, melodic pop of Reisefieber (with sweet female backing vocals), to the experimental percussion/jazzy ambient excursion of Unterwegs, to the spacey, swirling jazz of Sierra, to the Return to Forever-like fusion workout of the title track. 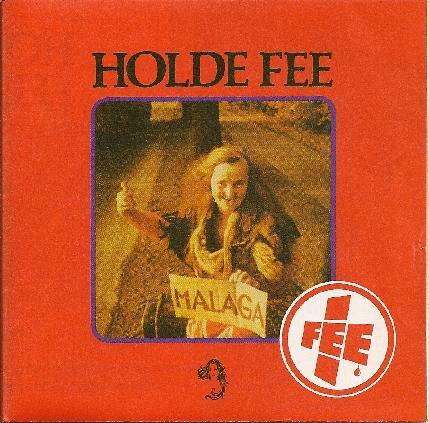 Holde Fee's Malaga is an excellent slice of 70's jazz/rock that is worth discovering. Recommended!